This was done in the name of elephant conservation. However, resorts in the vicinity, earning off the region's biodiversity, survived last month’s demolition. 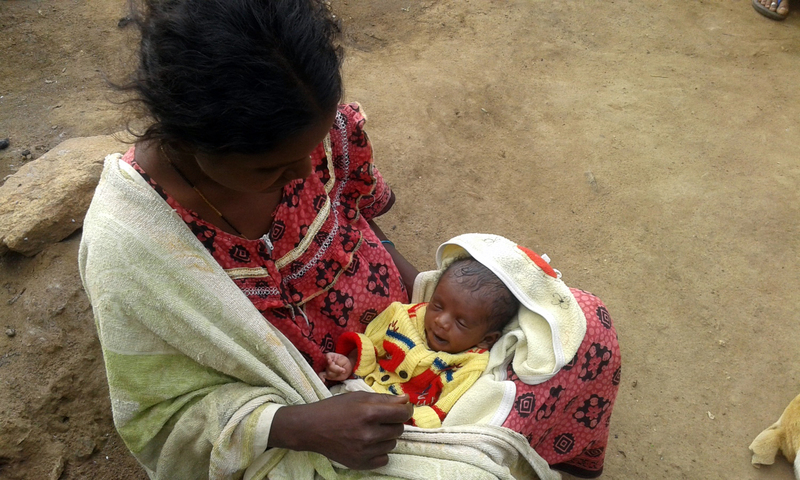 R Kala, a 22-year-old member of the Jenu Kurumbar community, was nursing her newborn baby in her mud and bamboo hut in Vazhaithottam village in Tamil Nadu on the morning of August 10 when she heard a commotion outside. She felt the walls of the hut shudder. The next thing she knew, it had collapsed on her. Kala’s hut was among 60-odd huts that were demolished in the village that day by the local administration as part of an eviction drive ostensibly carried out to protect elephants. 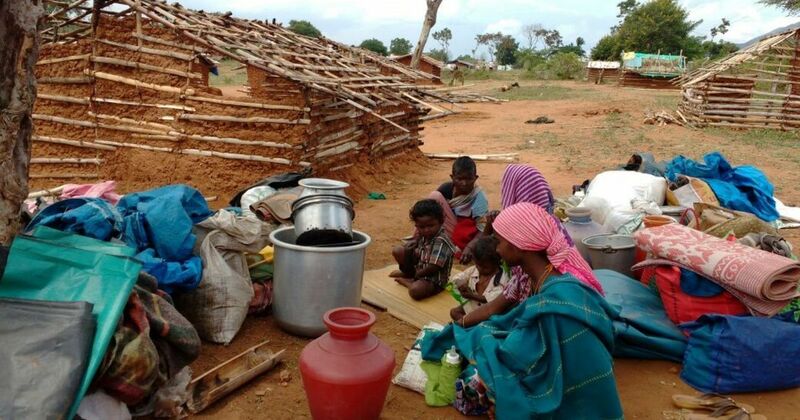 The evictions were carried out in violation of the Forest Rights Act, 2006. The law bans the forced resettlement of any Adivasis from forestlands till their claims of the patch being their traditional home have been settled. In this case, the state government has refused to settle their claims since last year. Vazhaithottam village lies on the northern slopes of the Nilgiris plateau, about 8 km from the perimeter of Mudumalai Tiger Reserve’ core zone. About 85 households of Irular and Jenu Kurumbar Adivasis live in this village. Both communities are counted as Particularly Vulnerable Tribal Groups by the Indian government. She was referring to an order by the Madras High Court on August 4 asking for evictions from the specific plot of land that the Adivasi community inhabits, in the name of protecting an identified, but not legally demarcated, elephant corridor – a strip of land that the animals use seasonally to pass through. This is not the first time the Madras High Court has passed such an order. In April 2011, it had passed a similar order that encompassed a wider region around the tiger reserve. This order required several resorts in the region – which attracts tourism to the tiger reserve – to also be demolished. But in July that year, some resort owners went to the Supreme Court and got a stay on the implementation of the high court order. The Supreme Court directed that no one could be evicted from the identified elephant corridor till the matter is settled finally. 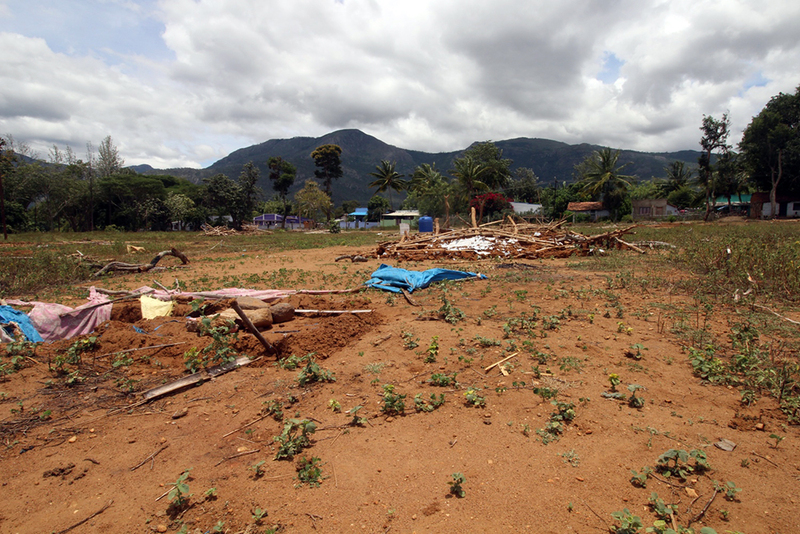 However, in August, in a fresh case, another bench of the Madras High Court ordered the eviction of encroachers from one specific plot out of the originally identified elephant corridor. The resort owners survived and the Adivasi families fell victim to the order. 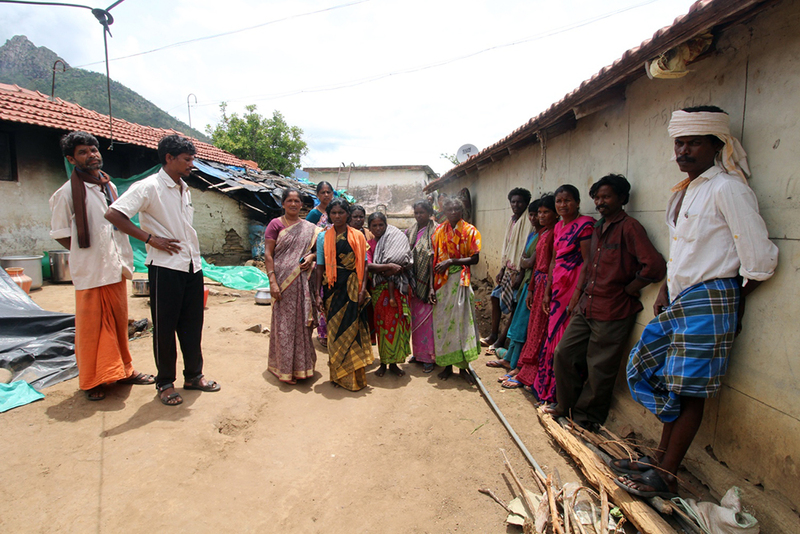 The Adivasis refute the claim that their settlement stood on encroached land. They say that they live on land that their ancestors inhabited, and accuse the local administration of selectively targeting their homes while ignoring other nearby constructions, such as a school and resorts. Divya said that the local authorities were making “appropriate arrangements for their resettlement”. She did not define the word “appropriate”. The eviction site. (Photo credit: Sibi Arasu). The 2,565 sq km Nilgiris district is home to seven indigenous tribal groups that are spread across various parts of this region. Ancient cave paintings and excavation sites where pre-historic artefacts have been discovered point towards the fact that the tribes living here have a millennia-old ancestry. Some of the displaced Irulars and Jenu Kurumbars of Vazhaithottam. (Photo credit: Sibi Arasu). The Tamil Nadu Co-operative Milk Producers’ Federation Limited, which goes under the trade mark, had set up a farm for cattle fodder here in 1982. The Irulars claim that Pujari Bandan and others came to an oral agreement with Aavin, which then set up an establishment in the area. They claim that Aavin did not fulfil its part of the agreement. The Aavin establishment has fallen into disrepair since and shut down in the early 1990s. Residents at the eviction site. The wall of the GRG Memorial Tribal School is right alongside it. (Photo credit: Sibi Arasu). The evicted Adivasi people had filed claims under the Forest Rights Act in 2016. The Forest Rights Act is meant to give back traditional forest dwellers their rights to access, manage and govern forest lands and resources within village boundaries. Under this law, forest dwellers can apply for both individual rights as well as community rights, which the Adivasis here had done. But even after five years the authorities have not settled their claims. The law clearly states that no person can be evicted from forests till their rights and claims are settled one way or the other. The district officials could have appealed against the high court order in light of both the earlier Supreme Court stay as well as the potential infringement of the Forest Rights Act. But these officials were to process the claims of the Adivasis under the Forest Rights Act in the first place. 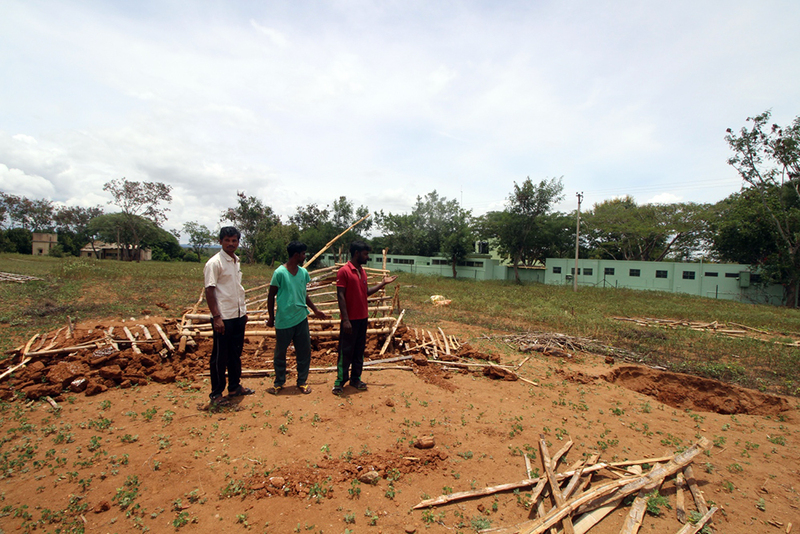 At Vazhaithottam, the huts that were demolished adjoined the only private school in this region, which is owned by the Coimbatore-based GRG Group of institutions. The group owns nine schools and higher educational institutions in Tamil Nadu. The High Court order dated August 4 based on which the villagers were evicted states that 17 acres of land that falls under Survey Number 395 should be cleared. 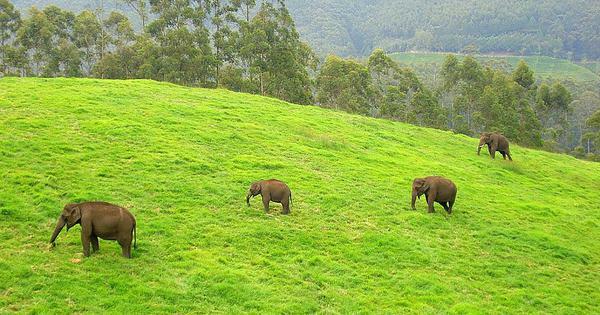 Srinivas Reddy, a veteran in the state’s Forest Department and currently field director of the Mudumalai Tiger Reserve said that the land under the spotlight in Vazhaithottam was part of an elephant corridor. The Adivasis point to the injustice of evicting forest dwellers in the name of wildlife conservation while resorts – which have allegedly encroached on land and thrive off the rich forests – have survived the axe. Sibi Arasu is an independent journalist based in the Nilgiris. His Twitter handle is @sibi123. 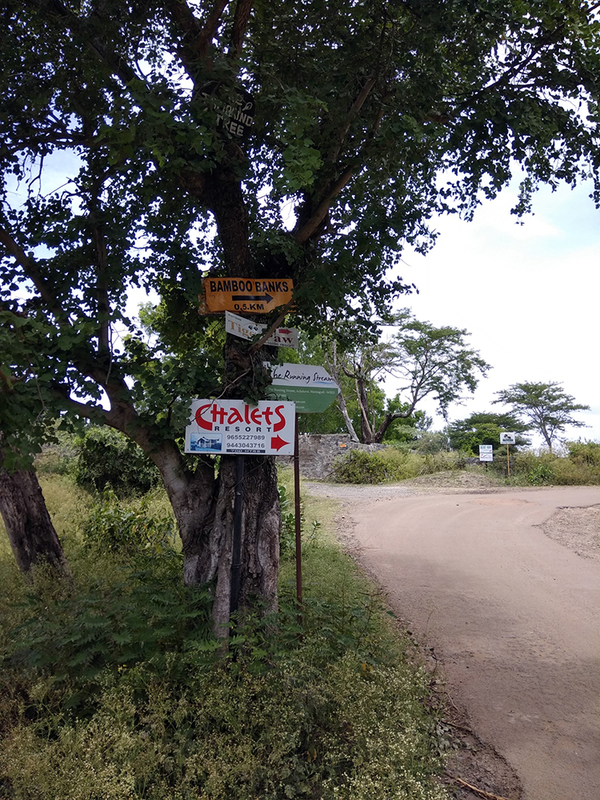 Signboards to several resorts and cottages near the Mudumalai Tiger Reserve. (Photo credit: Sibi Arasu).